Discussion in 'Business, Goods and Services' started by Teresa, Jul 15, 2015. For small businesses and non-profits to come learn Marketing and PR strategies that can help on a small budget. The cost of the seminar is only $50, which includes a light breakfast AND lunch! 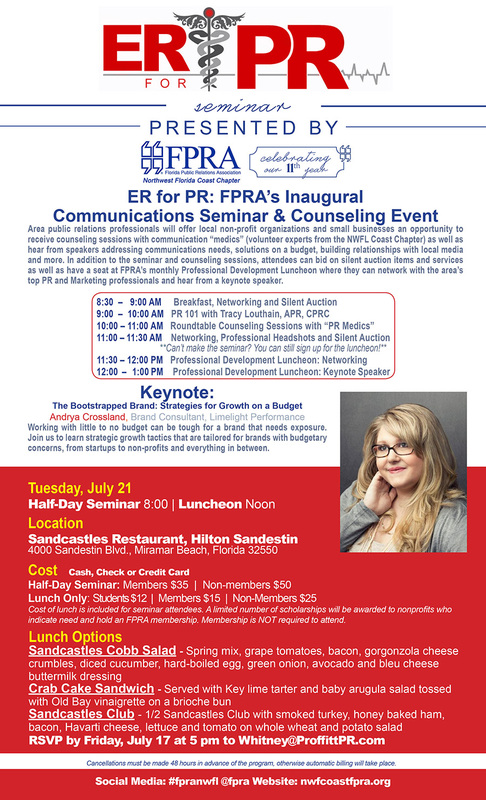 FPRA's inaaugural communications seminar and counseling event. Area public relations professionals will offer local businesses and non-profit organizations an opportunity to attend sessions lead by local PR and marketing professionals. Includes breakfast, a seat at FPRA's monthly professional development luncheon, keynote speaker, and more. Register now and build relationships with local businesses, media and people.